Sept. 28 – Oct, 1—American College of Emergency Physicians(ACEP) Scientific Assembly, Mandalay Bay Resort, Las Vegas. Today's emergency physicians often are tomorrow's urgent care center owners.A most frequent concern is the belief that they no longer can use their ED skills. TLG is partnering with EmERgent Care, an organization working to bring higher acuity care to the urgent care centers at higher levels of reimbursement. 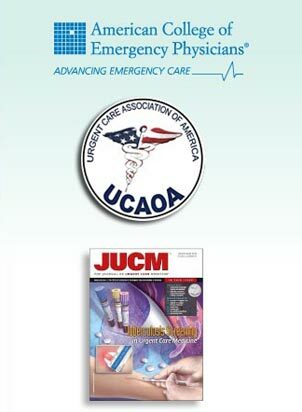 The majority of today's urgent care center owners are members of the industry's premier resource, UCAOA, and most attend UCAOA's annual spring convention and fall conference, which are outstanding opportunities as well for potential urgent care owners and medical directors to learn about this business. TLG is a contributor to the online edition of the Journal of Urgent Care Medicine with bi-monthly first-person accounts of individual urgent care start-ups titled,In the Beginning jucm.org. TLG is also is happy to connect current urgent care owners with future ones. Just request an introduction!